Create separate users on your computer for personal vs. business use. 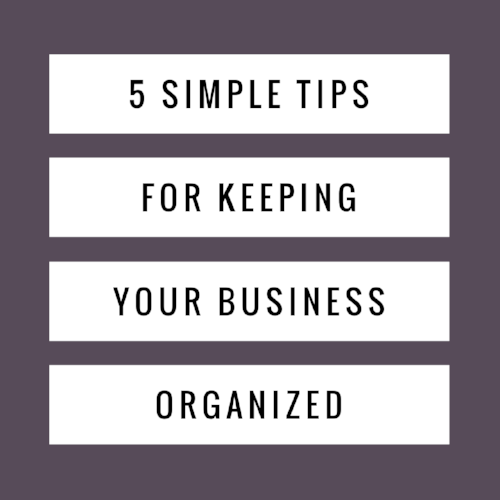 This allows you to easily access what you need for your business away from the clutter of your personal files and uses on your computer. You can also secure the privacy of your business user with a password. Set-up auto-opening tabs on your internet browser. After doing this, each time you login to your business’ user, you can pull up all of your necessary tabs with only one click. If you need help learning how to do this, click here. Use a to-do list app. There are a few different options for this, at Larkspur Wellness, we utilize Wunderlist for everything from errands to marketing agendas. Wunderlist is free and allows you to categorize your to-dos, which is essential for keeping your life, and your business in order. WeDois another popular, free option for keeping your lists organized and accessible on your computer and phone. Simplify your social media plan with a free program like Hootsuite. Hootsuite is a social media managing platform compatible with Facebook, Twitter, Instagram, LinkedIn, Google+, YouTube, and many more. By using this program, you can streamline your business’ social media posts, and schedule them out all in one place. Hootsuite’s auto-scheduling feature analyzes when your business’ pages receive the most engagement, and schedules your posts during those times each day for maximum reach. This is a great tool to increase your efficiency when posting on your business’ social media accounts. Use canned responses in Gmail. If you find that you often need to respond to the same question over email, you may consider implementing canned responses. Perhaps you need to explain your services to each client who reaches out to you over email. A canned response is essentially a prepared text that you can select when writing an email in Gmail. These responses save you the time of writing out the exact same thing all the time. You can also edit a canned response to fit the individuals question each time.